Neutral Milk Hotel are another one of those bands from my teenage-hood – I think I first stumbled across them through the song at the bottom of this post, and I was hooked. I listened to that song alone on repeat for weeks before I even discovered the rest of their music. The whole In The Aeroplane Over the Sea album is just stunning, and even in later years the Bear and I would listen to it start to finish on repeat. I still do! So I’m not going to take too much away from the song here, but just leave you with a simple, neutral milk recipe. 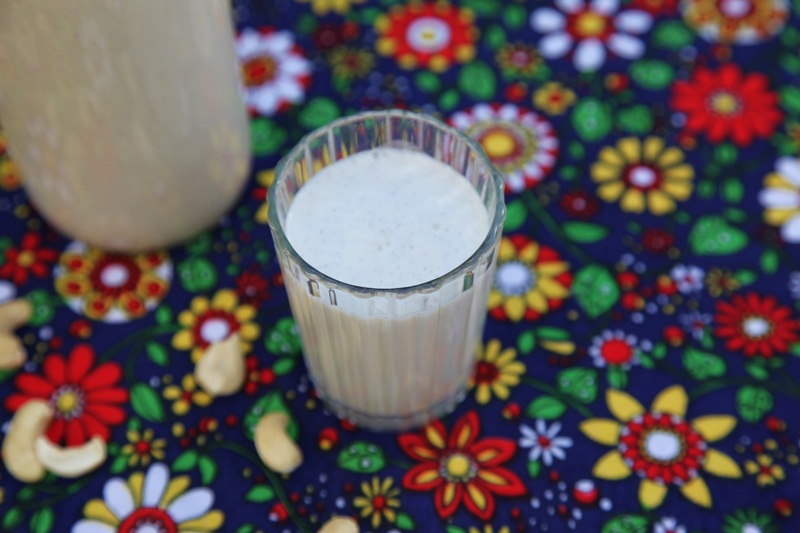 Nut milk is so easy to make, and anybody who has done it will vouch for the fact that it tastes soooooooo much better than store bought nut milk. The best thing is you can add your own flavours like cacao or cinnamon or vanilla, and you can make it as creamy or thin as you like. As you can see from all the speckles, I added some vanilla bean to mine. Me and vanilla beans are such best buds. Put all ingredients in a blender and whizzzzzzzzz until smooth. For a thinner milk, add one to three more cups of water. If I’m just using the milk for smoothies I like to extend it a bit further with more water, however if I want to drink it on its own or in coffee or otherwise, I like it nice and creamy like this. Far out it’s so freaking beautiful. It’s such a beautiful, raw song – I love Jeff Mangum’s voice. I’ve never heard of olivia tremor control, I’ll have to look them up! Yes definitely do – cashew is a good one to start with and probably doesn’t even need a super blender as once they have been soaked over night, they are so so soft. I just can’t get over how deliciously creamy this was – usually I don’t really drink nut milk on its own, just in things, however I was gulping this down by the glass! I used a crappy old blender in the past to make nut milk, worked just fine for a ‘rustic’ nut milk! Love Neutral Milk Hotel! So epic, so surreal! I went through period of years not listening to NMH, I walked into a room my friend was playing Aeroplane loud and was stopped dead in my tracks, hit with waves of memories and sensations. I just wanted to curl up in fetal position and listen. 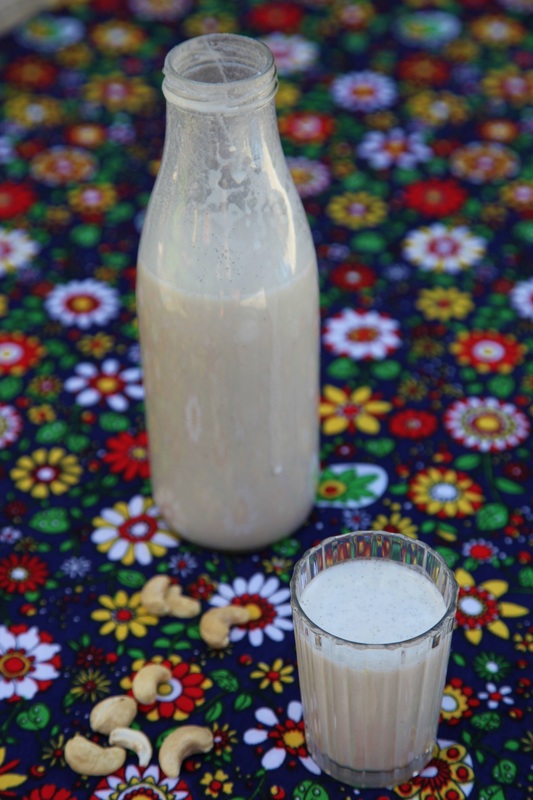 I’m inspired to put on Avery Island and make your cashew milk recipe. Thanks! 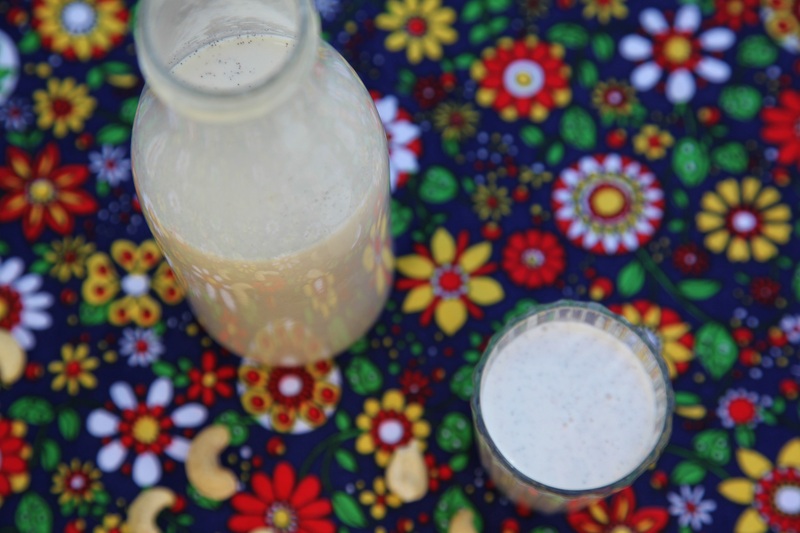 That looks like a delicious cashew milk, I love vanilla bean specks in the mylk, too! Thanks Rika! It always looks so delicious and rustic with the specks. I am loving the photograph. I make a Date and Almond milk and this reminds me of it of sorts, http://allotment2kitchen.blogspot.co.uk/2012/03/almond-and-date-milk.html I hope to make some more soon, now that I have a slightly better blender. Yum, yours looks like a delicious drink too shaheen! It’s amazing what a difference a good blender makes, isn’t it? Great tunes, thank you for sharing! You are absolutely right, homemade milk is the best! Amazing! I just saw them in Brooklyn last month and they put on a great show. No way! I was really bummed because they were in Melbourne a couple of months ago and I had no idea! I think tickets must have been advertised before I moved back here and it came and went without my knowledge! So disappointing.